So, what is neem oil and how could it benefit your eczema. 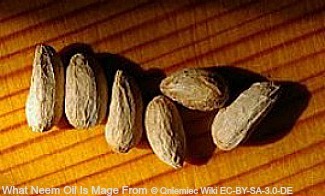 Firstly, neem oil is made from the seeds of the neem tree. The neem tree is found in India. That is why neem seed oil is used a lot in ayurveda medicine. Ayurveda is a type of traditional and alternative medicine used in India. It is used to help with many different conditions. Neem oil has alot of great properties that could be beneficial to eczema. Neem oil is also a good source of essential fatty oils and vitamin E.
This can help with the management of your eczema as they are both great at helping to keep your skin moisturised. This can help reduce the chance of your skin cracking and any further damage occurring. They can also help to heal the skin. There are a few different neem oil uses. They can all be helpful in the management of your eczema. Neem oil products. There are many products that can be brought or home-made, that contain neem oil. If you make them yourself you know what ingredients have been used. You can make sure that it is totally natural. If you buy a product already made, check the ingredients used. When you purchase any products, you should make sure that they are especially made for eczema. Neem oil is used to help with many ailments, and different strengths are used for different conditions. You don’t want to use one that is too strong, as it may do more harm than good to your skin. Neem oil is a great natural treatment that could be worth trying if you are looking for an alternative way to help manage your eczema. One word of warning, the smell of neem oil can be very potent, so be prepared! 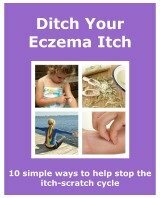 As with any natural treatment, it can help you to manage your eczema. Though it is best used in conjunction with conventional treatment, like emollients and topical steroids, especially when first using it and when you get a flare up.